If there’s one topic Sydneysiders love to bring up it’s how expensive their rent is. It’s a popular conversation piece amongst Harbour City residents and the figures show why. According to recent data from Flatmates.com.au a whopping 97 of the top 100 most expensive suburbs to rent a room were in Sydney. 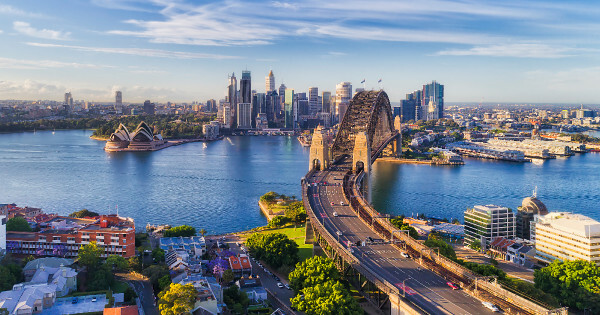 Millers Point in Sydney’s city claimed top spot with an average room rent of $435 per week, a staggering $308 more than the cheapest suburb in the country, Estella in regional NSW. Sydney’s CBD and Milsons Point rounded out the top three with weekly room rents of $432 and $422, respectively. Three Melbourne suburbs halted an almost Sydney whitewash with Docklands ranking 70th, Melbourne City 83rd and Southbank 92nd. Lillyfield in Sydney’s Inner West rounded out the list with an average room rent of $298 per week, making it the only suburb under a $300 average in top 100. Brisbane City claimed Queensland’s most expensive suburb to let a room—sitting at 114th spot—with average weekly rents hovering at $290. Elsewhere, Canberra was the ACT’s most expensive ranking 139th, while in the west Perth’s Northbridge took out priciest rooms sitting in 240th spot. The data took into consideration more than 1400 suburbs nationwide where at least 10 private rooms were listed in the past six months on Flatmates.com.au.